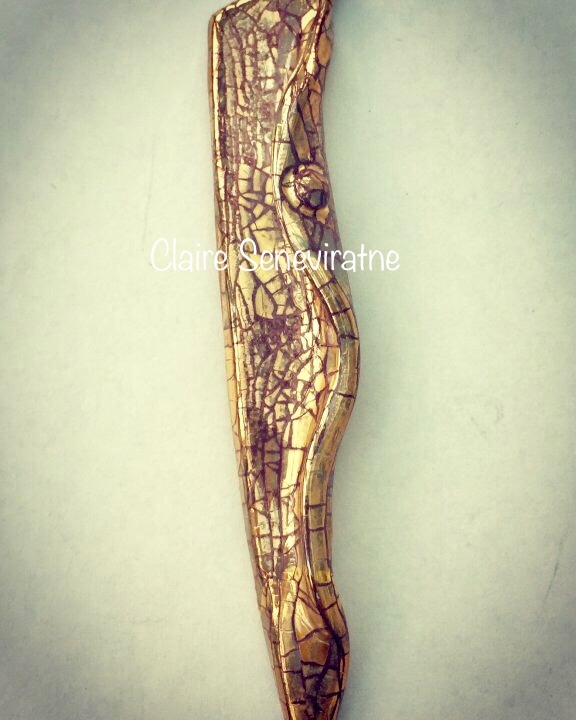 Claire Seneviratne - Ceramic Artist: Long gold lustre pendant. Long gold lustre pendant. This pendant has been hand sculpted from porcelain and fired with glaze and gold lustre in a kiln. It is attached to an adjustable leather thong. The bail in vermeil which is sterling silver plated with 22 carat gold.